Cloud computing explained from the ground up, and deep tech articles. There were a couple additional steps I had to do in order to get it to run from my filesystem, rather than from a mounted .iso. You will likely have to chmod +x the ./vcsa-ui-installer/lin64/installer file too. I didn’t need to run it using sudo since the installation is to a remote ESXi host on the network, not the local machine. Upon re-running the installer, you should progress past the point where the installer throws the error shown above and see the following screen. Note that even for a “tiny” deployment, 10GB of RAM is required on the ESXi host. A frankly obscene minimum requirement and hence where this blog post subsequently ends. You may find that your ESXi web-based UI frustratingly times out after a few minutes during attempted uploads of large files to your Datastore, such as .iso’s. You can disable the time out altogether. This concise post is intended to be used as reference rather than a detailed explanation, so please excuse any apparent brevity. A more comprehensive explanation can be found here. The basic steps of creating a zone, installing a zone, installing services in a zone, cloning a zone and monitoring resource use are all set out below in the sequential, logical order that they would be performed. Note: You first “configure” a zone, then “install” the zone. 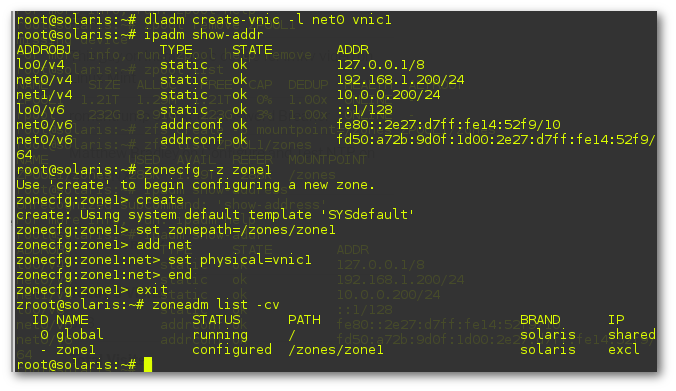 zoneadm list -cv displays their statuses as “installed” and “running” respectively. 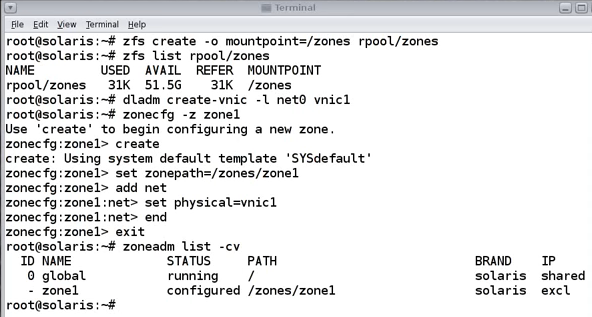 zoneadm list -cv shows all zones on the system, namely the global zone and the zone1 zone created above. Before installing the zone with its own instance of Solaris (that’s basically the definition of a zone, i.e. 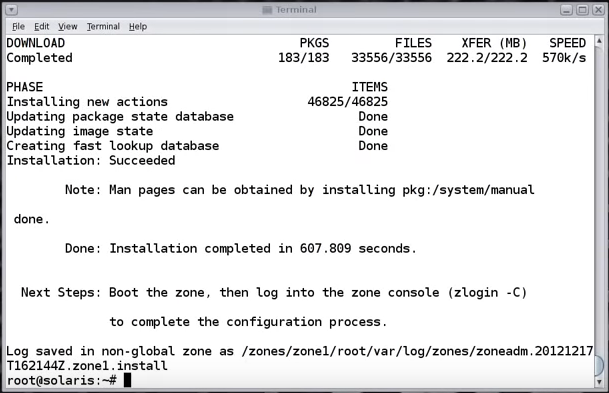 a cordoned off install of Solaris, running on the Solaris “global zone”), you should create a System Profile first. 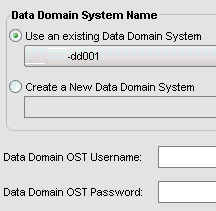 A System Profile is an answer file in .xml format, built by answering the same on-screen questions as when you installed the Global Zone originally, i.e. hostname, NIC, IP Address, DNS addresses, Timezone and so on. F2 you’re way through the screens, filling in the fields as required before being dropped back to the command prompt. As you can see, it took about 10 minutes to install the first zone. Subsequent zones, install much quicker. 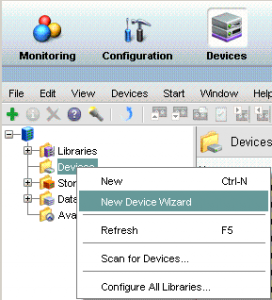 Although installed, the zone is not automatically booted. Note that you cannot login as root. This is because roles cannot log in to zones directly. It’s part of the Secure-by-Default configuration’s Role Based Access Control feature’s Root-as-a-Role Security feature. 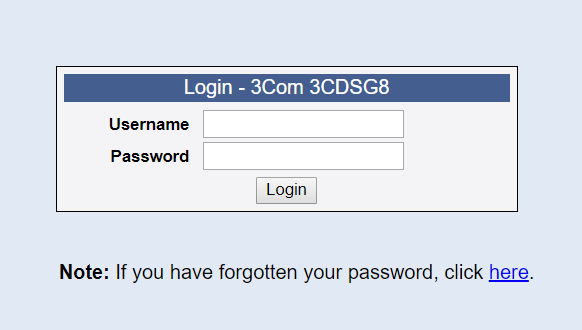 You must log in with the account created during the creation of the System Profile, prior to installing the zone. The you can su – to the root user once logged in. This is much like Linux with it’s sudoers mechanism. 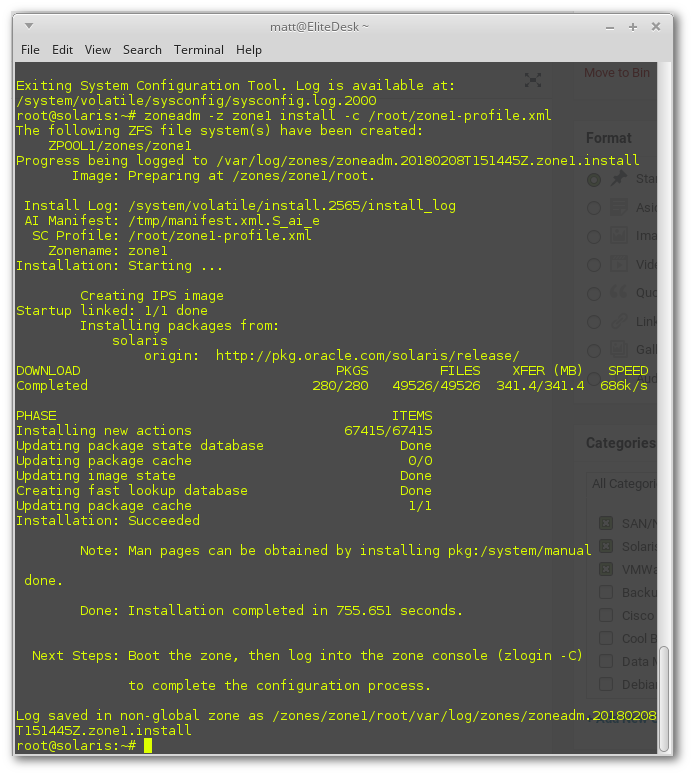 Install Apache Web Server in the Zone. Connect to the ip address of your zone from your web browser to see the “It Works!” message from Apache. Note that this file is contained in /var/apache2/2.2/htdocs/index.html and can be modified to reflect the name of the zone youre logged into as proof its the zones webserver responding, not the global zone’s. Performed as root, logged on to the global zone. You can only clone a zone if it’s not online. Halt the zone you want to clone. Run through the service profile screens completing the fields unique to the cloned zone, eg. 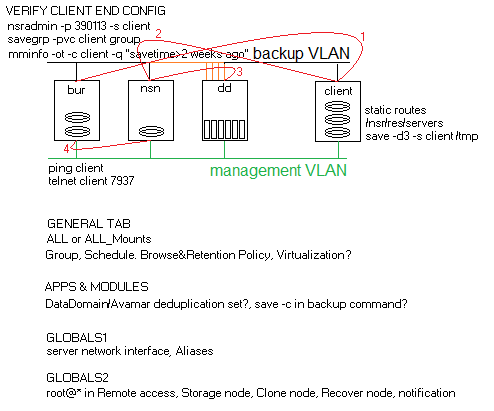 hostname, VNIC and IP address. Within seconds you’ll see the clone process has completed. You can see that the zone1 is still down from when it was cloned, but zone2 is now running. Don’t forget to reboot zone1 too if it’s intended to be online. 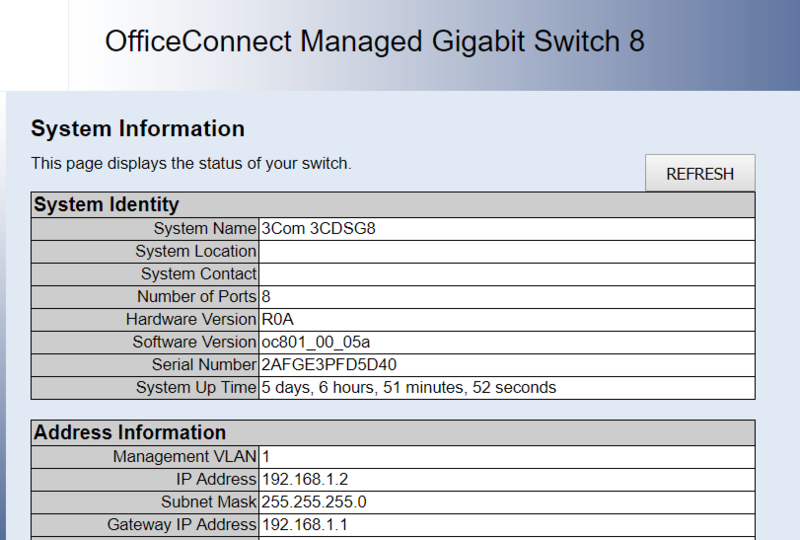 It takes a little while before the booted clone will have started all its network services. 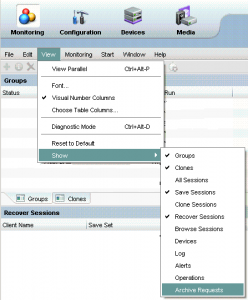 Log into the cloned zone, and view the IP configuration. It’s running! No need to install apache as the zone was cloned from an existing zone with apache already installed. 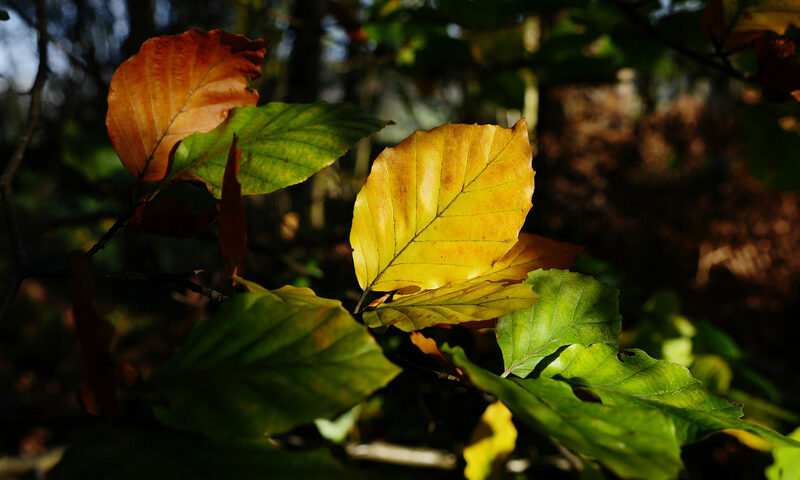 Zonestat can be used to summarise resource use over a long period of time. 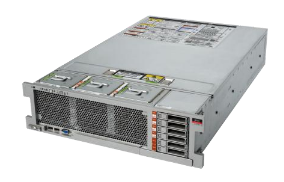 The Oracle SPARC T8-2 is a 2 processor server with Oracle SPARC M8 Processors (each with 32 x 8 dynamically threading cores running at 5GHz) and Oracles “Software-in-Silicon” technology to massively accelerate operations such as SQL Primitives on OLTP Oracle Databases, Java applications, Queries of large, compressed databases in-memory and operations involving floating point data, virtualization using Solaris 11 and encryption all with little to no additional processor overhead. DAX Units operate on data at full memory speeds, taking advantage of the very high memory bandwidth of the processor. This results in extreme acceleration of in-memory queries and analytics operations (i.e. 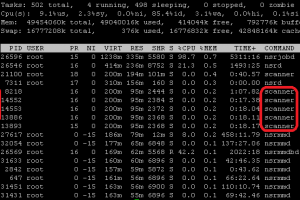 generating data about your database data) while the processor cores are freed up to do other useful work. DAX Units can handle compressed data on the fly, so larger DB’s can be held in memory and with less memory needed to be configured for a given database size. The DAX Unit can also be exploited to handle Java applications whereby the available API is used by the Java application developers. These software-in-silicon units greatly accelerate Oracle database operations involving floating point data. This results in fast, in-memory analytics on your database without affecting your OLTP (Online Transaction Processing) operations. This is capable of detecting and preventing invalid operations on application data via hardware monitoring of software access to memory. A hardware approach is must faster than a software based detection tool that places additional overhead on your processors. Each core contains the fastest cryptographic acceleration in the industry with near zero overhead. Each of the 2 processors has 32 cores, each capable of handling 8 threads using dynamic threading technology that adapts to extreme single-thread performance or massive throughput 256 thread performance on the fly. Efficient design with Solaris Virtualization technology means that a much larger number of VMs can be supported compared with Intel Xeon based systems, lowering per-VM cost. This breakthrough in SPARC is enabled by the Solaris 11 OS. Secure, Integrated, Open platform engineered for large scale enterprise cloud environments with unique optimization for oracle databases, middleware and application deployments. Security is easily set up and enabled by default with single-step patching to the OS running on the logical domain, hosting immutable zones that allow compliance to be maintained easily. You can create complete application software stacks, lock them securely, deploy them in a cloud and update them in a single step. Oracle Solaris 11 combines unique management options with powerful application driven software-defined networking for agile deployment of cloud infrastructure. More here, including full hardware specification, summarized below. This concise post is intended to provide a terminology and concepts reference for the Oracle M5-32 and M6-32 Servers, the Domain Configurable Units (DCU’s) of which are divided into one isolated to four combined “Bounded (1)” or “Non-bounded (2-4)” Physical Domains. 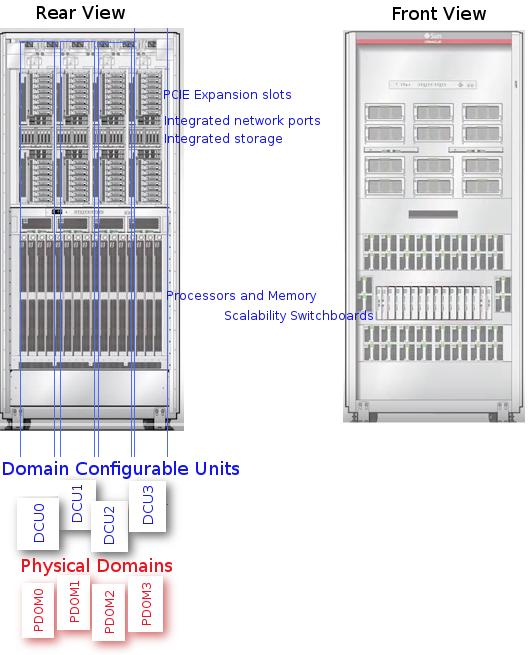 The combined or “non-bounded” DCU’s are connected via the Scalability Switchboards in order to combine their resources into a single Physical Domain. 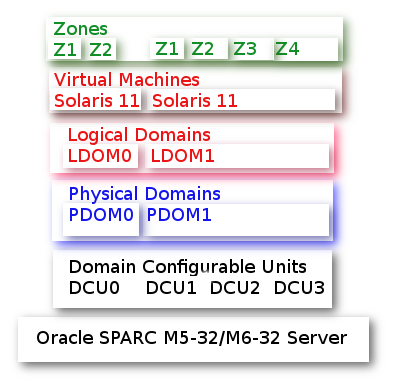 Each Physical Domain can be further divided into 192/384 Logical Domains on M5-32 or M6-32 Servers by using “Oracle VM Server for SPARC” software. Each Logical Domain runs it’s own instance of the Oracle Solaris 11 operating system that can run thousands of Zones. 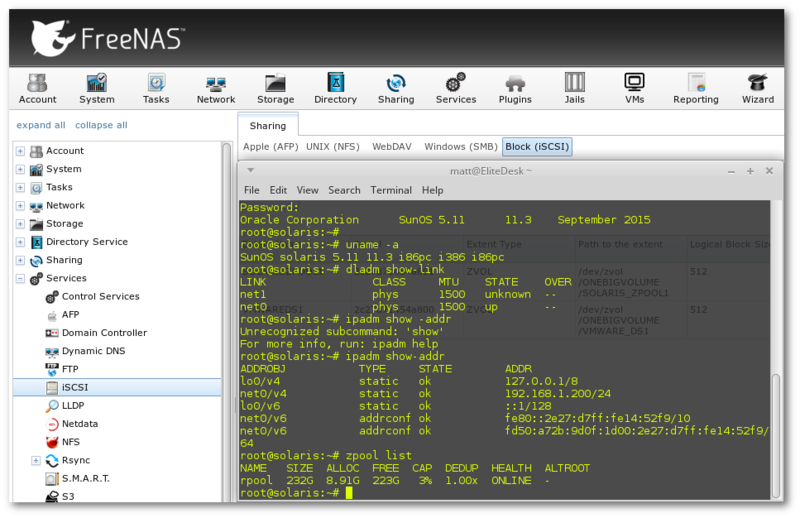 Each zone is a means of isolating applications running on the same Solaris 11 operating system instance. Each zone contains a controlled environment through which you can allocate the exact resources an application requires. More on Zones in a separate, complimenting post. This post covers the server hardware layer through to the zone layer in the technology stack (illustrated below). DCU’s provide the building blocks of Physical Domains. A Physical Domain operates as a server with full hardware isolation from the other physical domains. DCU’s can be combined or divided into 1 – 4 physical domains to suit business application requirements. Each Physical Domain can be restarted without affecting other Physical Domains in the M5-32 / M6-32 Server. An initial hardware purchase of a minimum of 8 processors can be configured into 1 or 2 Physical Domains and the remainder purchased later for expansion. A maximum of 32 processors and 32TB memory per M5/M6 Server is possible. The physically separate DCU’s can be joined together to make a single Physical Domain that spans multiple Domain Configurable Units. The communications are serviced by the Scalability Switch Boards. A “Bounded” Physical Domain is one whereby a single DCU is allocated to a single Physical Domain and is therefore not connected to the Scalability Switch Boards, isolating it from the other DCU’s. A Bounded Physical Domain can operate on 2 processors, whereas non-bounded require a minimum of 4. 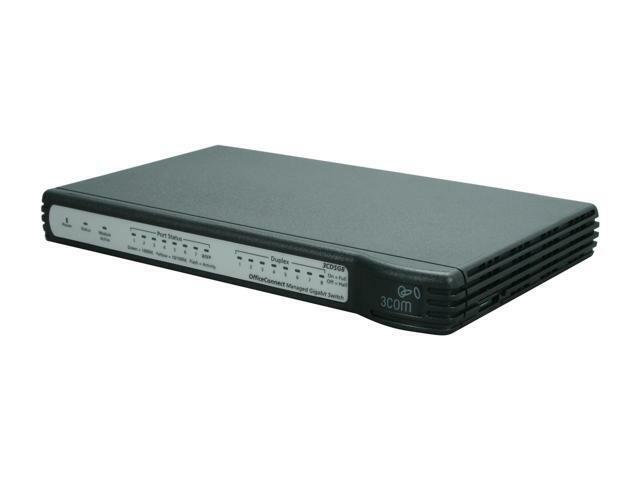 A single M5/M6 server can be a mix of Bounded and Un-bounded (combined) Physical Domains. Oracle VM Server for SPARC is installed and supports the creation of 192/384 Logical Domains on M5-32/M6-32 Servers respectively. Each LDOM can be configured and rebooted independently of the others. 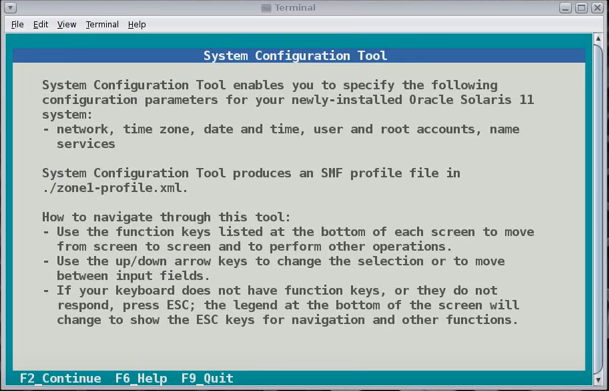 Each LDOM runs its own instance of the Oracle Solaris 11 operating system. Each instance of the Solaris 11 Operating System that comes pre-installed on each Logical Domain running Oracle VM Server supports Solaris Zones. Each Zone contains a controlled environmen through which you can allocate the exact operating system resources that an application needs. Zones are ultimately used to isolate applications running on the same instance of Solaris 11 in the same Logical Domain so that they don’t interfere with each other in terms of pre-alocated resource maximums and also files written to the underlying OS file system. Solaris 11 supports thousands of zones on any given LDOM. Here is a handy cheatsheet in troubleshooting failing backups and recoveries using emc’s Networker all taken from real-world experience (and regularly updated). If it’s helped you out of a pinch, and is worth a dollar, then please consider donating to help maintain this useful blog. You may find mminfo and nsradmin commands are unsuccessful. the media database may be unavailable and/or you may receive “program not registered” error that usually implies the Networker daemons/services are not running on the server/client. This can also occur during busy times such as clone groups running (even though this busy-ness is not reflected in the load averages on the backup server. 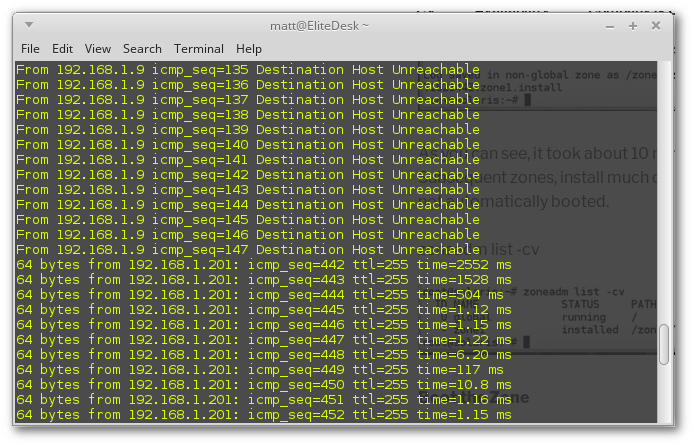 Can you ping the client / resolve the hostname or telnet to 7937? Are the static routes configured (if necessary). Can the client resolve the hostnames for the backup interfaces? have connectivity to them? Does the backup server appear in the nsr/res/servers file? Can you run a save -d3 -s /etc on the client? Also check that all interface names are in the servers file for all interfaces on all backup servers and storage nodes likely to back the client up. Can you probe the client? Instead of adding clients manually one at a time in the NMC, you can perform an initial bulk import. Use excel to form a large csv, then use Notepad++ to remove commas. Be aware there is a comma in the aliases field, so use an alternative character in excel to represent this then replace it with a comma once all commas have been removed from the csv. where username is the username minus the domain name prefix (not necessary). Stop and start the GST Service and attempt to logon to the NMC using the default username and password pair above. You should probably make use of the ssflags option in the mminfo report too, which adds an extra column regarding the status of the saveset displaying one or more of the following characters CvrENiRPKIFk with the common fields shown in bold below along with their meanings. C Continued, v valid, r purged, E eligible for recycling, N NDMP generated, i incomplete, R raw, P snapshot, K cover, I in progress, F finished, k checkpoint restart enabled. To back up virtual machine disk files on vmfs volumes at the vmware level (as opposed to the individual file level backups of the individual vm’s), networker can interface with the vcenter servers to discover what vm’s reside on the esxi clusters managed by them, and their locations on the vmfs shared lun. 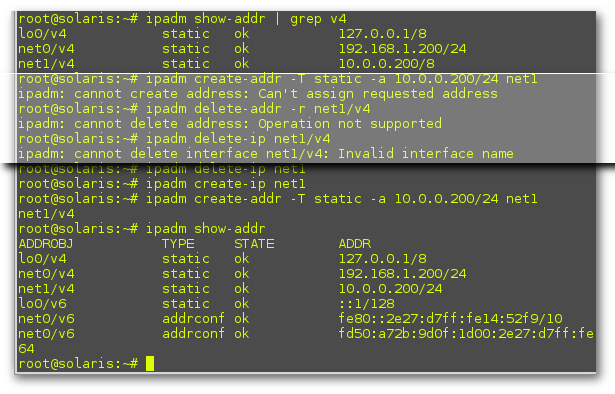 For this to work, the shared lun’s also need to be presented/visible to the VADP Proxy (Windows server with Networker client and/or Server running as a storage node) in the fc switch fabric zone config. The communication occurs as shown in blue. i.e. 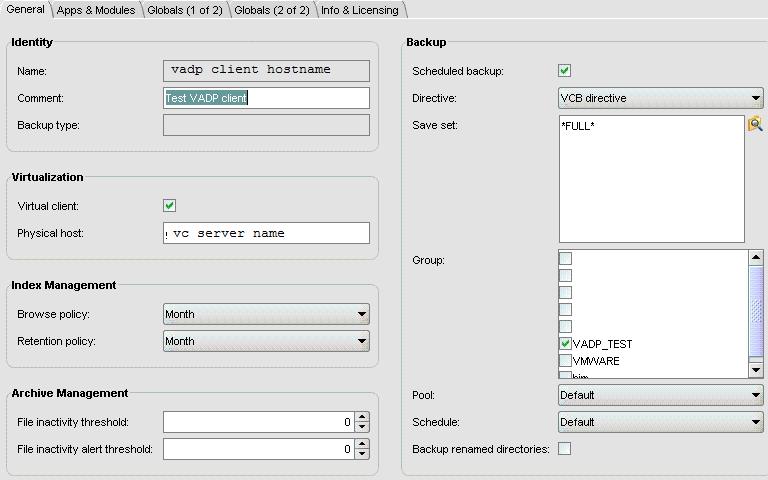 The backup server starts backup group containing vadp clients. 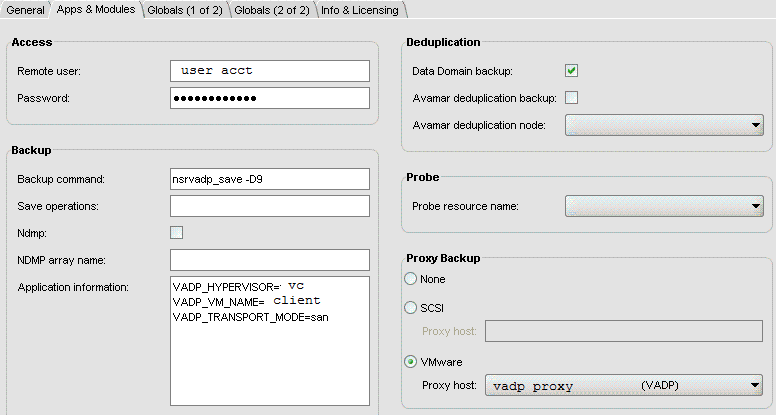 The vadp proxy asks vcentre what physical esxi host has the vm, and where the files reside on the shared storage luns. The vadp proxy / networker storage node then tells the esxi host to maintain a snapshot of the vm while the vmdk files are locked for backup. 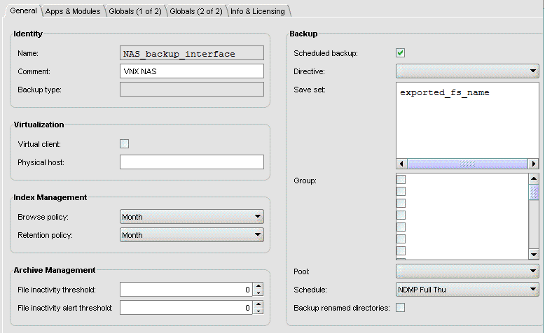 when the backup is complete, the client index is updated on the backup server, and the changes logged by the snapshot are applied to the now unlocked vmdk and then the snapshot is deleted on the esxi host. 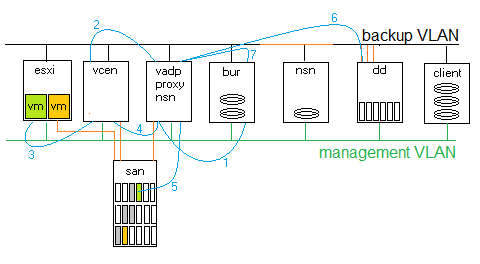 The VADP Proxy is just a storage node with fibre connectivity to the SAN and access to the ESXi DataStore LUNs. 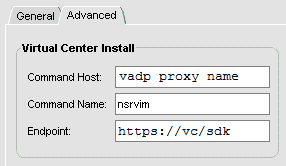 Note that the Command Host is the name of the VADP Proxy, NOT the name of the Virtual Center Server. Ensure vc, proxy and networker servers all have network comms and can resolve each others names. 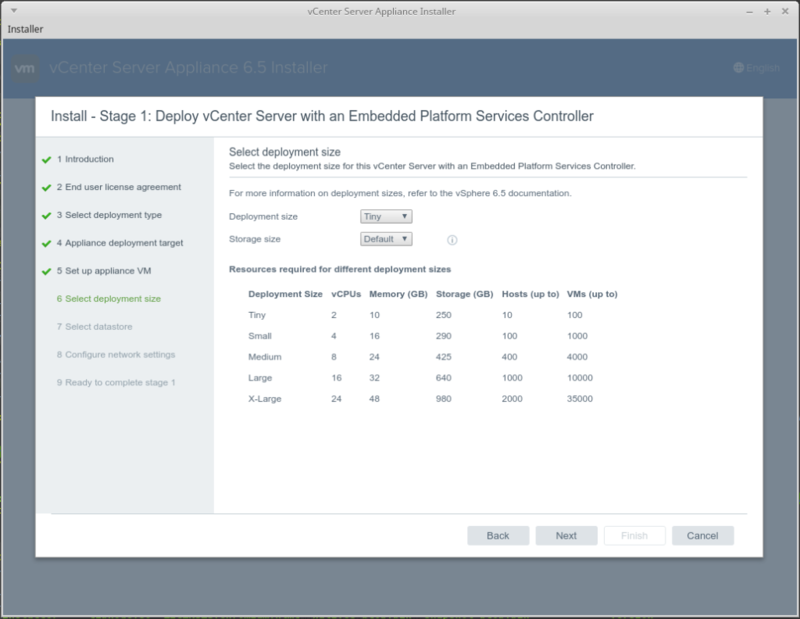 You should now be ready to configure a VADP client. Once in recover, you can cd into any directory irrespective of permissions on the file system. 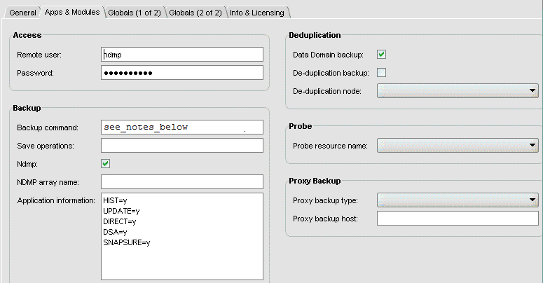 Redirected Client Recovery using the command line of the backup server. Delete the NSR Peer Information of the NetWorker Server on the client/storage node. Please follow the steps given below to delete the NSR peer information on NetWorker Server and on the Client. 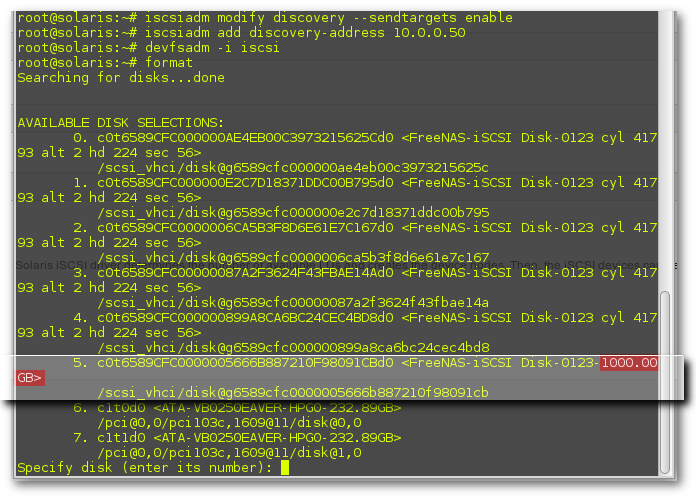 Delete the NSR Peer Information for the client/storage node from the NetWorker Server. Prereqs to a successful VADP restore are that the virtual machine be removed from the Inventory in VCenter (right click vm, remove from Inventory), and the folder containing the virtual machines files in the vmware datastore be renamed or removed. 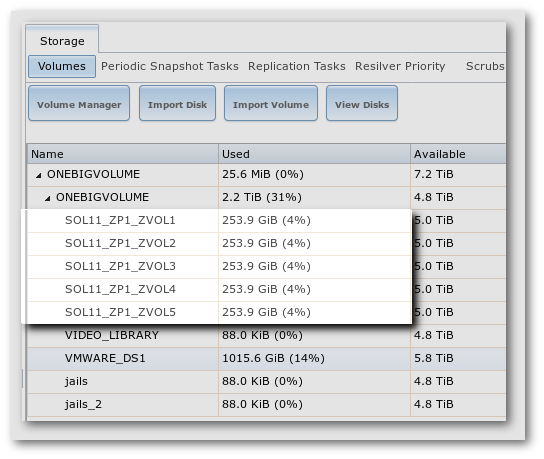 If the vm still exists in vmware or in the datastore, VADP will not recover it. 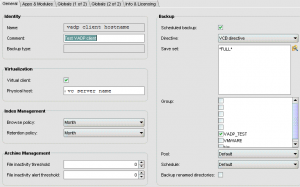 Log onto the backup server over ssh and obtain the save set ID for your VADP “FULLVM” backup. 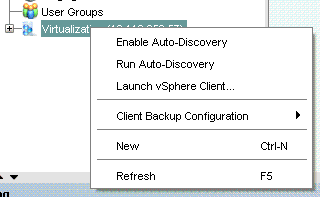 Note that if you want to recover a VM back to a different vCenter,Datastore,ESX host and/or different resource pool, you can do that from the recover command too, rather than waiting to do it using the vsphere client. this can be used if your vm still exists in vmware and you don’t want to overwrite it. 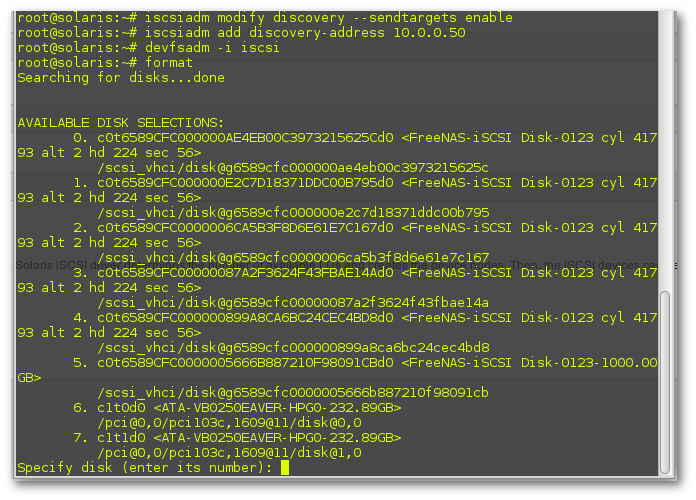 You can additionally specify VADP:host= VADP:datacenter= VADP:resourcepool= VADP:hostsystem= and VADP:datastore= fields in the recover command, separated by semicolons and no spaces. I’ve found that whilst the minimal command above may work on some environments, others demand a far more detailed recover.exe command with all VADP parameters set before it’ll communicate with the VC. A working example is shown below (with each VADP parameter separated on a newline for readability – you’ll need to put it into a single line, and remove any spaces between each . 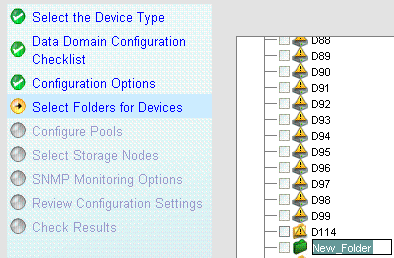 In Networker Administrator App from NMC Console, Click Devices button at the top. Choose a data domain system in the same physical location to your backup server! Create a New Folder in sequence, e.g. D25, tick it. 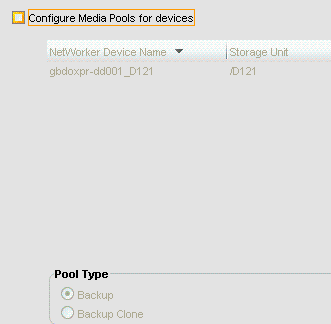 Select Pool to add the Device into, OK. 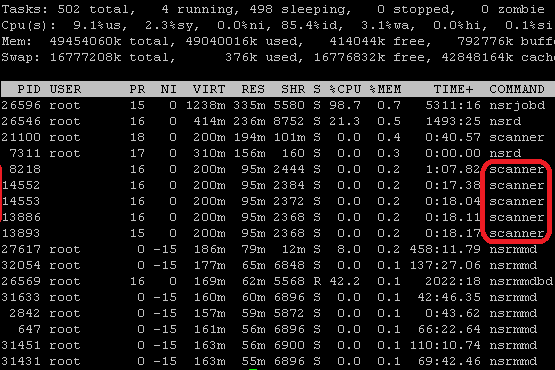 In this example (above), despite dedicating a storage node backup a single large applications data, the fact that it only has 4 cpu’s and is scanning every file that ddboost is attempting to deduplicate means that a huge bottleneck is introduced. This is a typical situation whereby decommissioned equipment has been re-purposed. 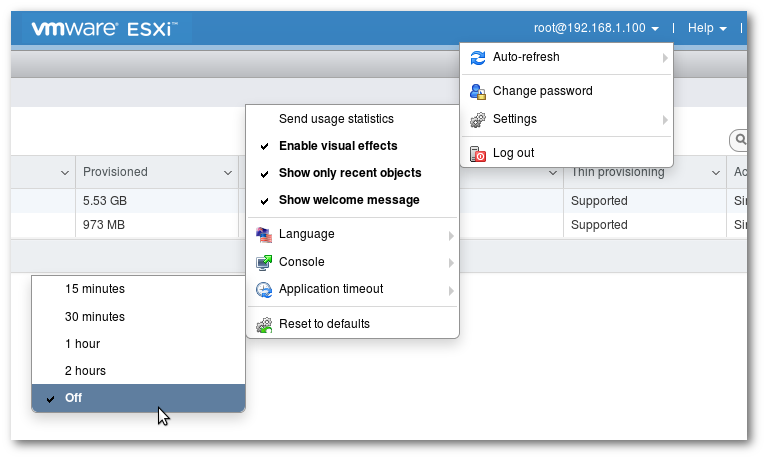 ssh to the networker server and issue the nsrwatch command. 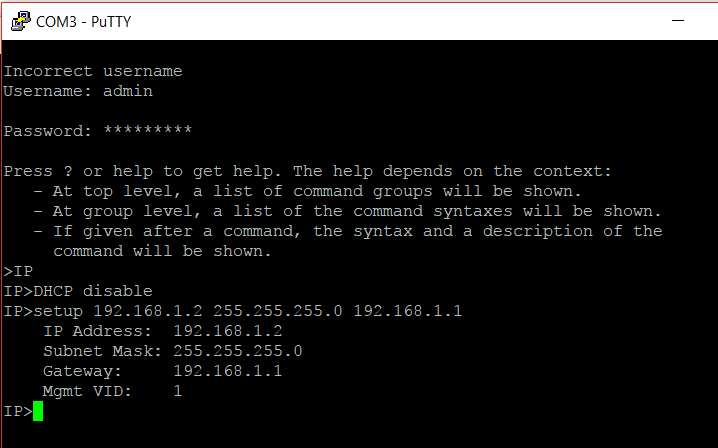 It’s a command line equivalent to connecting to the Enterprise app in the NMC and looking at the monitoring screen. Useful if you can’t connect to the NMC. Tick or Un-tick and Re-tick Archive Requests. ps -ef | grep nsrjb -Maybe necessary to kill off any pending nsrjb processes before new ones will work. nsrjb -d -Deposit all tapes in the cap/load port into empty slots in the jukebox/library. Note: If you are removing and replacing tapes you should take note what pools the removed tapes belong it and allocate new blank tapes deposited into the library to the same pools to eliminate impact on backups running out of tapes. 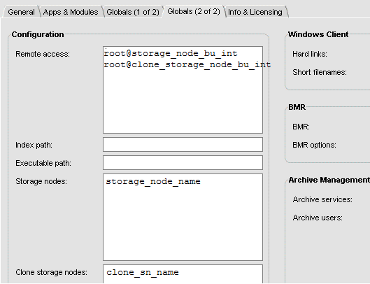 Application Options that have worked in testing NDMP Backups. Leave datadomain unticked in Networker 8.x and ensure you’ve selected a device pool other than default, or Networker may just sit waiting for a tape while you’re wondering why NDMP backups aren’t starting! Backup Command: nsrndmp_save -s backup_svr -c nas_name -M -T vbb -P storage_node_bu_interface or don’t use -P if Backup Server acts as SN. 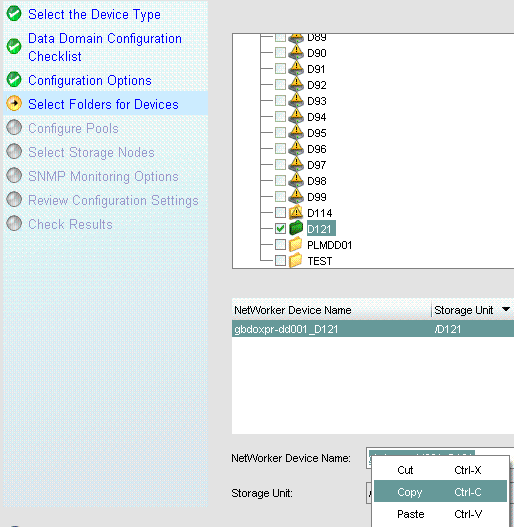 To back up an NDMP client to a non-NDMP device, use the -M option. Important: If the filesystem being backd up contains more than 5 million files, set the timeout attribute to zero in the backup group’s properties. Running this in one go if you’ve not done it before is not advised. Break it up into individual commands (separated here by pipes) and ensure the output is what you’d expect, then re-join commands accordingly so you’re certain you’re getting the result you want. This worked in practice though. 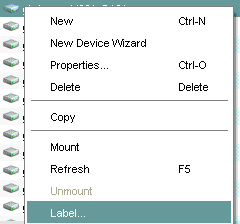 It will only reset Read Only (.RO) devices so it won’t kill backups, but will potentially kill recoveries or clones if they are in progress. The NMC will tell you what the Client OS is, but it won’t elaborate and tell you what type, e.g. 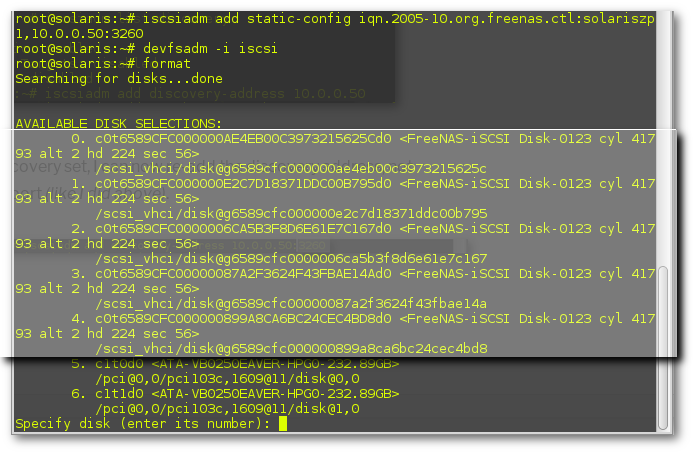 Solaris, not Solaris 11 or Linux, not Linux el6. Also, as useful as the NMC is, it continually drives me mad how you cant export the information on the screen to excel. (If someone figures this out, leave a comment below). So, here’s how I got what I wanted using the good ol’ CLI on the backup server. Luckily for me the backup server is Linux. to remove all lines ending in b. Now this script will use that list of hostnames to ssh to them and retrieve more OS detail with the uname -a command. Note that if SSH keys aren’t set up, you’ll need to enter your password each time a new SSH session is established. This isn’t as arduous as it sounds. use PuTTY right click to paste the password each time, reducing effort to a single mouse click. 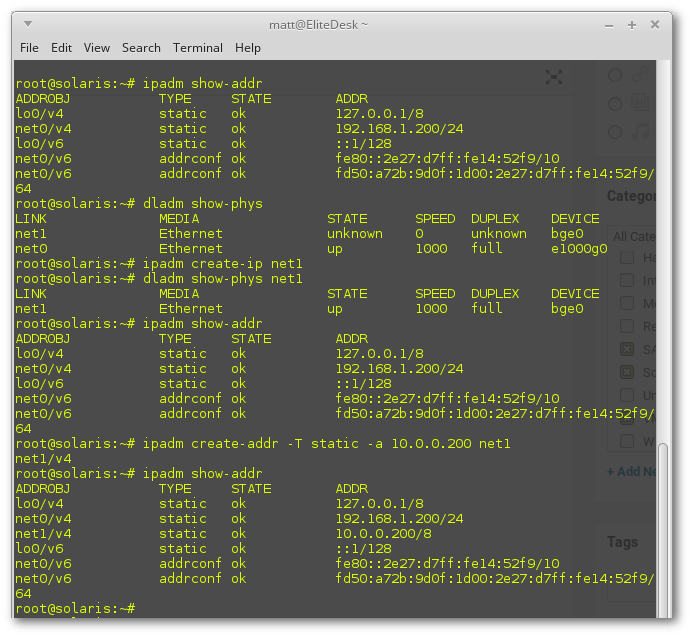 This generates a file solaris_os_ver that you can just grep for ^SunOS and end up with a list of all the networker clients and the full details of the OS on them.